Indonesian President Joko Widodo cut his visit to the United States short this week, when he had to return home to face a severe crisis. Wildfires are ravaging Indonesia, and smoke from the fires is creating a health hazard for people in Indonesia’s cities, in addition to releasing epic measures of greenhouse gases. As Tim McDonnell reports for Mother Jones, this might be the worst climate crisis in the world right now. In the West, fossil fuels are typically thought as the biggest enemy of the environment, and it’s true that they are responsible for the majority of greenhouse gas emissions in the United States. In Indonesia and many other parts of the world, the situation is a little different. There, land use – namely deforestation – is the biggest source of emissions as dead and decaying trees release trapped carbon into the atmosphere. In Indonesia, thousands of acres of rainforest are being cleared to make way for African oil palms, which are farmed for palm oil, an ingredient in common snack foods and some cosmetics. It’s not news that cutting down rainforests is bad for the overall health of the planet. In Indonesia, though, the rampant deforestation is taking place in the worst way possible. Rather than using heavy machinery and an army of lumberjacks to fell the forests, the forests are often cleared in Indonesia using fire. It’s legal, with a permit, although an undetermined amount of illegal fire-clearing is also taking place, according to the Mother Jones report. It’s bad enough to have a ton of intentional land-clearing fires raging in your home country, but the situation has been made even worse by El Niño-related weather patterns that fuel the flames. The fires are so pervasive that thick smoke has traveled into urban areas in Indonesia and neighboring countries, where it obscures views and makes air quality rather unhealthy for commuters. The fires are so severe, in fact, that the World Resource Institute reports that in just a few days, the emissions from fires in Indonesia surpassed that of the entire United States. For a country of just 255 million people, covering 735,358 square miles, that’s a devastating figure. (By comparison, the state of Alaska measures 663,267 square miles.) The Center for International Forestry Research (CIFR) recently published this video that explains the problem in even more detail. Because of the high demand for palm oil, Indonesian rainforests are disappearing at an extremely high rate. Mother Jones reports that land use accounts for 61 percent of the country’s emissions, and approximately one-quarter of global GHG emissions stem from deforestation. The primary concern, of course, is that deforestation will continue at such high rates, and the impacts on global climate change will go unchecked. As long as the demand for palm oil remains high, so too will the devastating impact of fires in Indonesia. 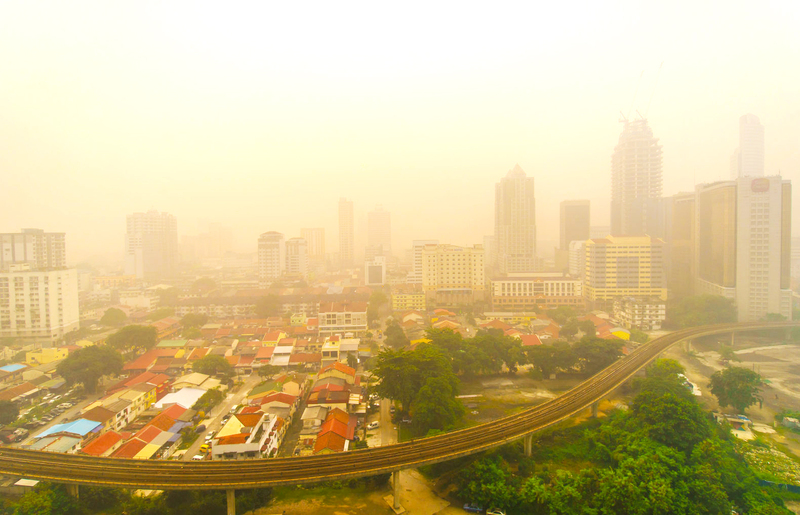 Fires in Indonesia are so severe that smoke has spread to Kuala Lumpur, Malaysia. 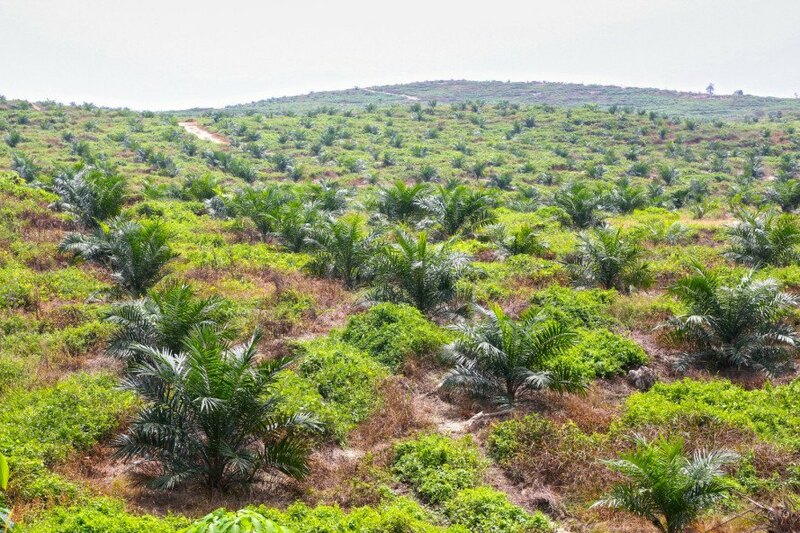 African oil palms are planted where rainforests once grew. 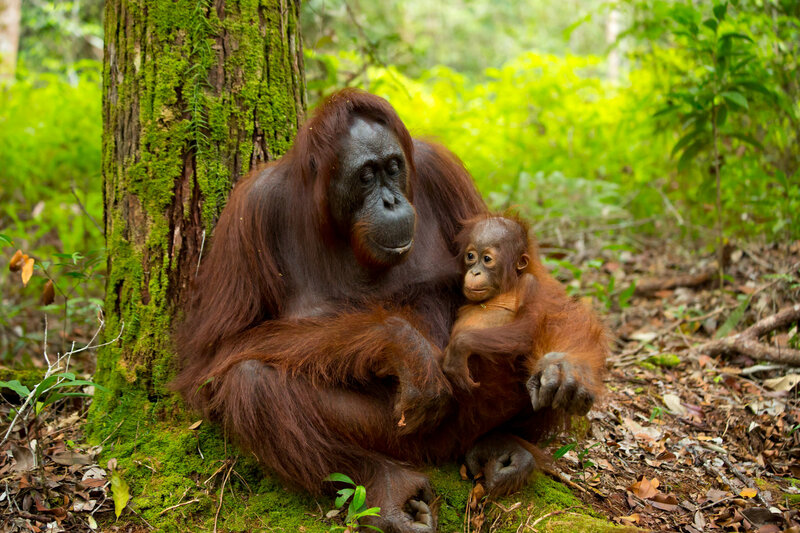 The demand for palm oil results in the destruction of the orangutan's natural habitat.